Whether you like to trade the forex pair or the underlying currency [6B] that trades here in the CME, this technical analysis should produce some decent results. Off a 20-day/15-min chart, you will find it range-bound between a top level resistance of 1.29054 and a bottom level support measurement of 1.2696. This resistance is likely to play an important role early next week as the US equity markets and banks remain closed in observation of President's Day on Monday. While the futures markets will trade the Sunday globex open as always at 6 pm Eastern they will close early i.e. 1 pm Eastern on Monday. 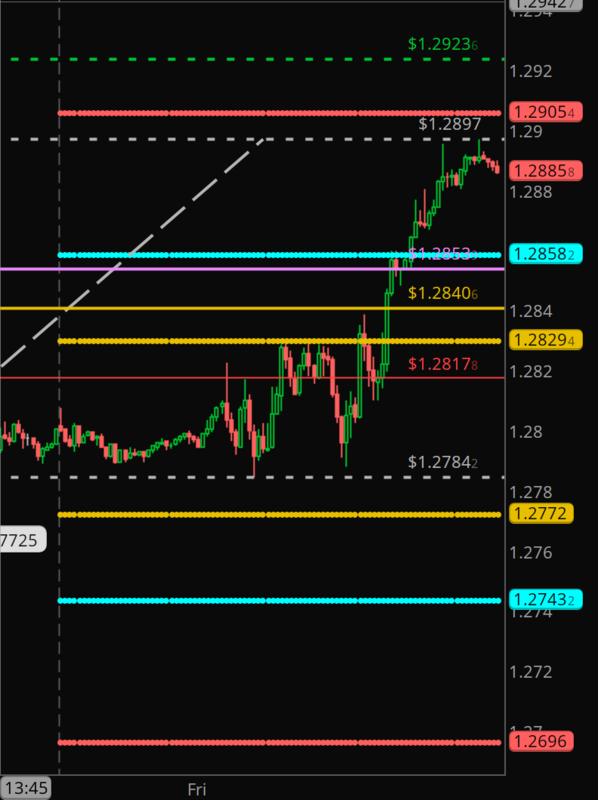 Our trade has a limit order long from 1.28046 with a few contracts possibly lower from 1.28582 and a stop at 1.28178 if the trade triggers. The profit target on this setup is 1.29236. Use the chart below for reference.